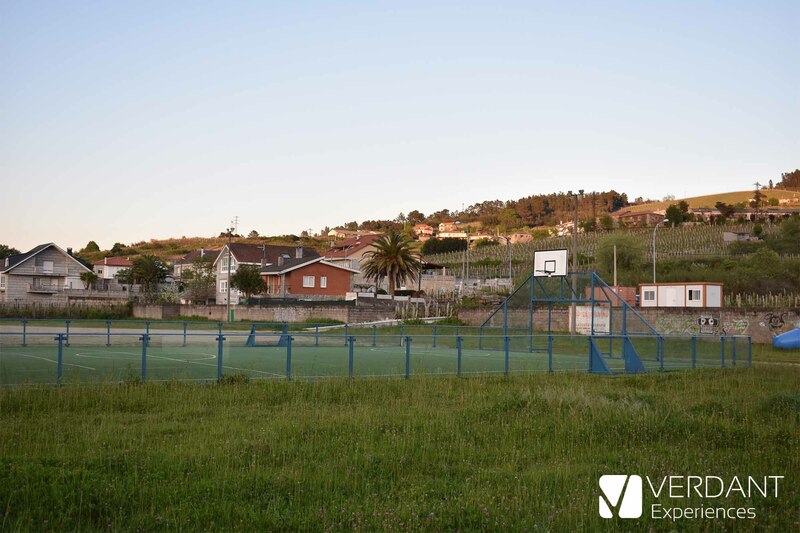 On the way to Vigo along the Rías Baixas highway and shortly before reaching the village of Ribadavia, there is a beautiful place in the Ribeiro. A place where you can switch off any day of the year, although is especially recommended on the hottest and sunny days of summer. 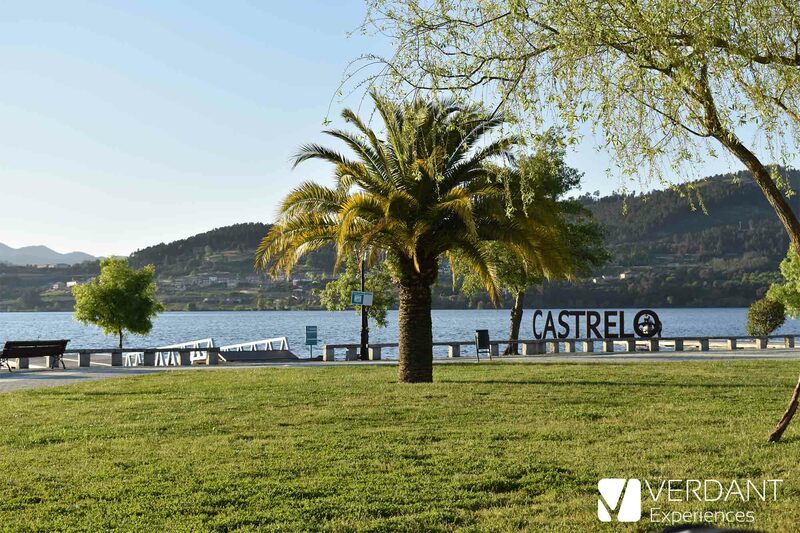 We talk about the "Parque Náutico de Castrelo de Miño" (Nautical Park of Castrelo de Miño) . The Ribeiro region is known for its wines, but it also has a very special relationship with the world of water, not only because the most important river in Galicia crosses the region but also because of the existence of thermal waters along the river (the Hotel-spa of Laias Caldaria and Arnonia Caldaria, as well as the thermal baths of Prexigueiro can prove it). 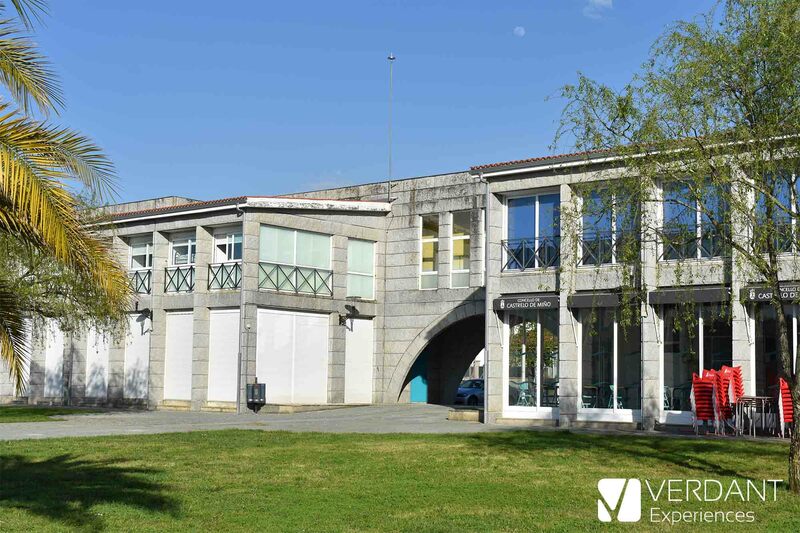 The park is located on the shore of the Castrelo de Miño Reservoir, whose dam was built in 1969, leaving many of the farmland and terraces of the riverside flooded. 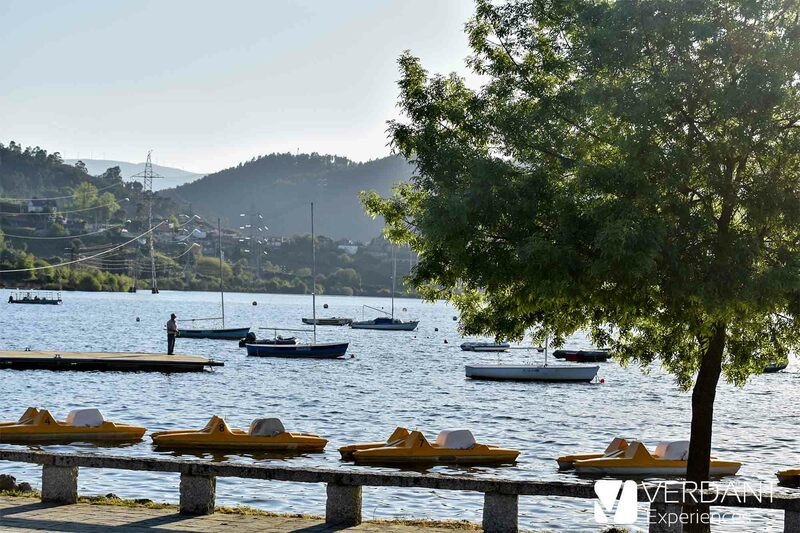 Besides the use of the dam to generate hydroelectric energy, thanks to the exceptional conditions of the river and the extensive surface of dammed water, we can also enjoy the Club Nautico de Castrelo de Miño, which is considered today a reference in the interior of Galicia for the practice of nautical sports. 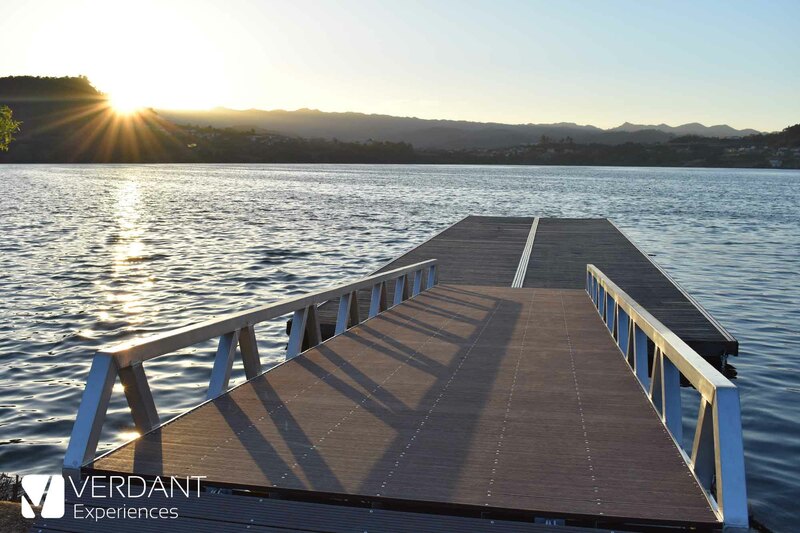 In this place various sailing, rowing and canoeing competitions are organized, being also a perfect training zone. We must point out that Olympic teams from different countries such as Australia and Great Britain have trained here, and in the Olympic Games of Rio 2016, 10 medalists in nautical modalities had been trained in this reservoir. The park also has a recreational area with swimming pool, basketball court and pontoons for bathing in the reservoir, it also has boats for rent (such as kayaks or pedal boats). 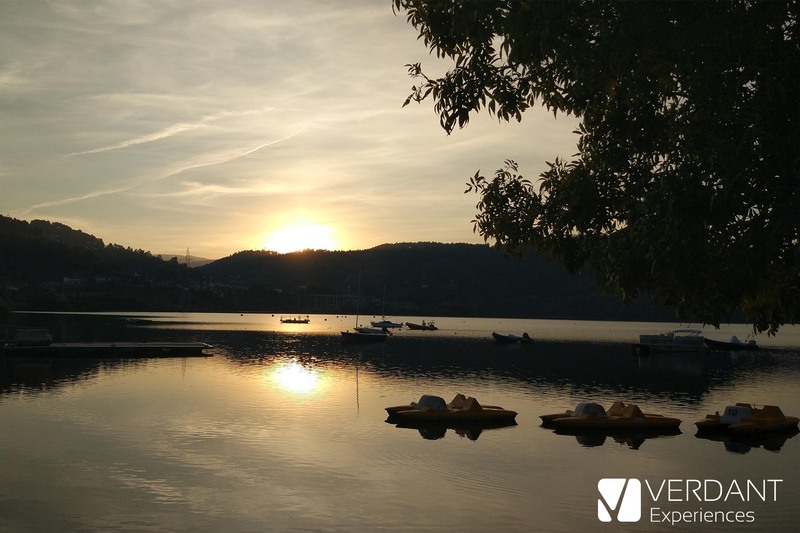 To complete the list of services, the Parque Náutico has a restaurant and a bar, where you can enjoy one of the best sunsets you can see in the province while having a glass of O Ribeiro wine or a beer. There are also different organized events, such as concerts, stargazing and on Sundays, a fair of food in the restaurant. Bonus: in 2016 the first stage of the spanish cycling tour “La Vuelta”, which consisted of a team time trial, ended at this place. 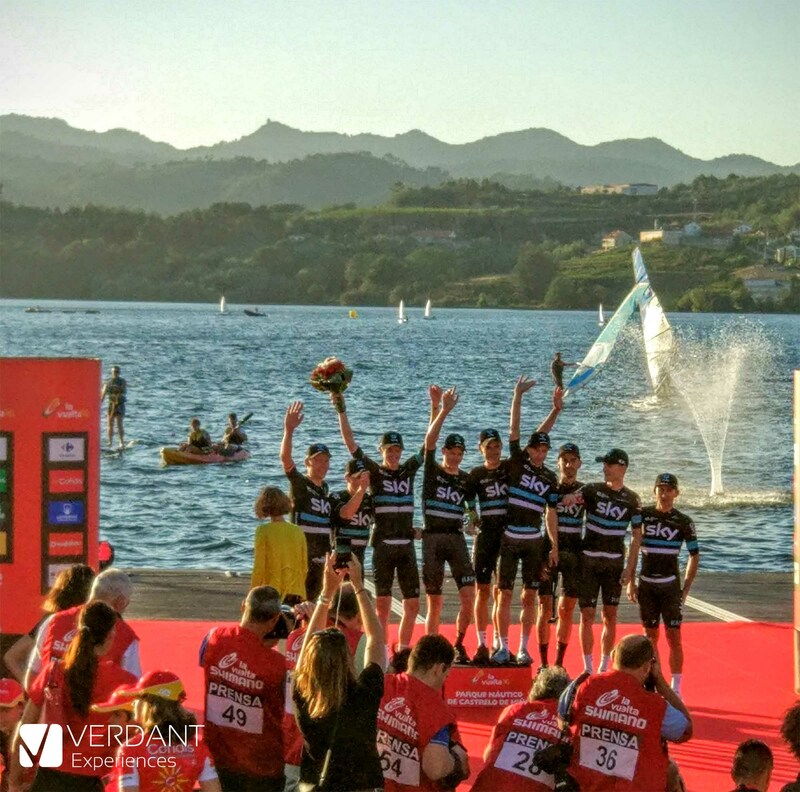 Stage won by the Sky team with Christopher Froome leading the team and where runners like Alberto Contador, Nairo Quintana and Alejandro Valverde also participated. If you want to head at this place and organize a visit, we can include it in one of our excursions or vacation packages. For more information you can contact us here.